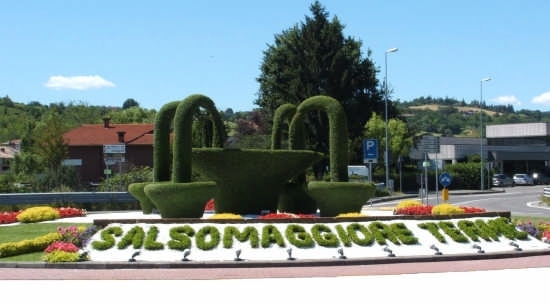 Salsomaggiore Terme is situated at the foot of the lush hills of Parma, 160 meters above sea level, in a scenic and picturesque location. The climate, mild in all seasons, and the surrounding nature always make a stay in Salsomaggiore pleasant. The thermal water of Salsomaggiore belongs to the group waters rich with bromide and iodide salts: rich in sodium chloride (140 per thousand), they are the thermal waters with the highest percentage of iodine (0.054 g per litre) and bromine (0.23 g per litre) and have other valuable trace elements useful for the welfare of our organism, such as magnesium, iron , potassium and selenium. Unique in their feature of being salsobromoiodic waters rich with minerals, that flow from wells in Salsomaggiore, they are indicated for the prevention and treatment of various chronic inflammatory diseases, from rheumatoid arthritis to gynaecological problems, from the circulatory system to the treatment of cellulite, gynecological, respiratory and metabolic/hormonal complaints.